Hello everyone! I hope you all had a great Christmas that included some downtime to recharge your batteries. Now I know many of you will be starting to think about getting your homes organized in the new year. How many of you are making that a goal in 2019? Hopefully I’ll be able to help you get that done. But for today, before I jump into my December 2018 monthly recap, I want to share again the post and free printable I wrote at the beginning of last January. 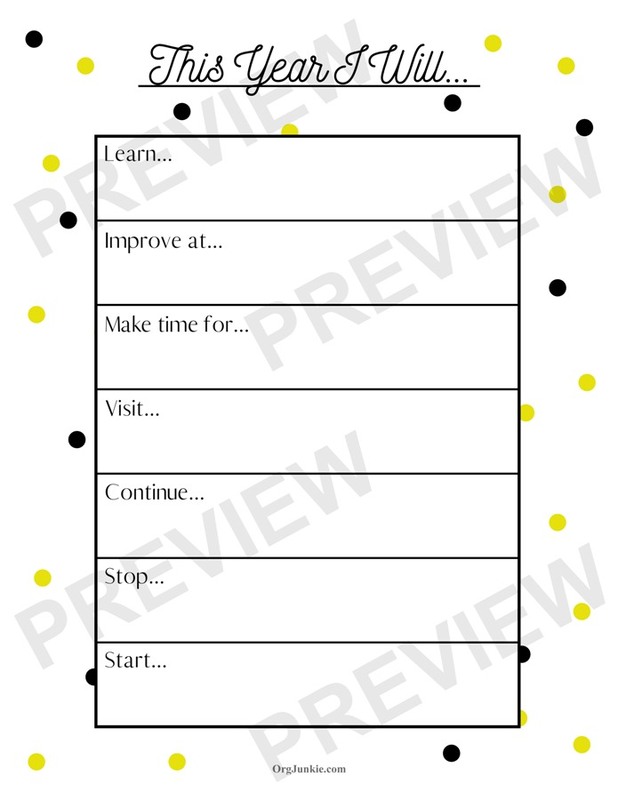 It’s an easy way to track the goals you want to accomplish and help keep you on track. Hope you find it helpful! Okay now it’s time to get into what I like to do at the end of every month. I love showcasing my really fantastic sponsors that offer such great organizing resources. Please give them some love by going on over and checking their websites out. You’ll be so glad you did!! Profitable Organizer (now Organizer.Club!) is a company created to help you set up your own Professional Organizing business. I get many inquiries from people wondering how to go about doing this so I’m thrilled to be able to refer you to such an excellent resource. Professional Organizer, Cynthia and her husband Adam have designed their business and training program to help walk you through this process step by step. To find out if this is a path that might be right for you, you can take a tour of their site and watch a video that walks you through what is required and how Organizer.Club can assist you with setting up your business. If you don’t want to start an organizing business but just want to get organized yourself, they can help with that too! Just visit this page to read when they’ll be offering their 6-week personal organizing training again. You can also find Organizer.Club on Facebook. Alejandra Costello is a Professional Organizer who shows people how to become organized so they can live a more productive, efficient, and stress-free life. 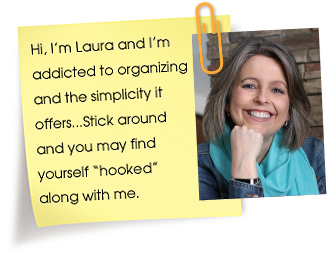 Feeling stuck with clutter & can’t get started? Alejandra’s video series shows you 3 e-a-s-yyyyy things to do tonight to feel more organized tomorrow morning. How’s that for starting the day off right?! Sign up to watch the free videos here. SimpLESSity is Alejandra’s NEW online video-based training program that shows you, step-by-step, HOW to completely declutter your home so you can eliminate distractions & overwhelm and have more time and freedom for what matters most in life – our relationships & experiences. It includes everything you need to know, do, and understand to make progress and fast decisions on what to keep and what to get rid of so you can simplify your home from the overwhelming clutter that’s holding you back! You can learn more about the new program HERE. You can also follow Alejandra on Facebook and now on Instagram. Smead Manufacturing Company is a well-known leader in high quality, environmentally responsible and innovative products, most of which are made right here in the USA. Founded in 1906 in Hastings, Minnesota, Smead is a certified woman-owned business offering thousands of organizational products for use in the home or office. For more information on Smead’s products, visit smead.com. For personalized organizing advice, tips and solutions, visit Smead Organomics. Submit a Smead product review using this link and you could win a $100 Smead shopping spree!! In addition, be sure to grab Smead’s new eBook called “Room by Room” organization. It features organization tips and advice for each room in the home from some of the top professional organizers in the world. Download your free copy today HERE. Happy Organizing! You can also find Smead on Facebook, Twitter, Pinterest and don’t miss their awesome YouTube channel! 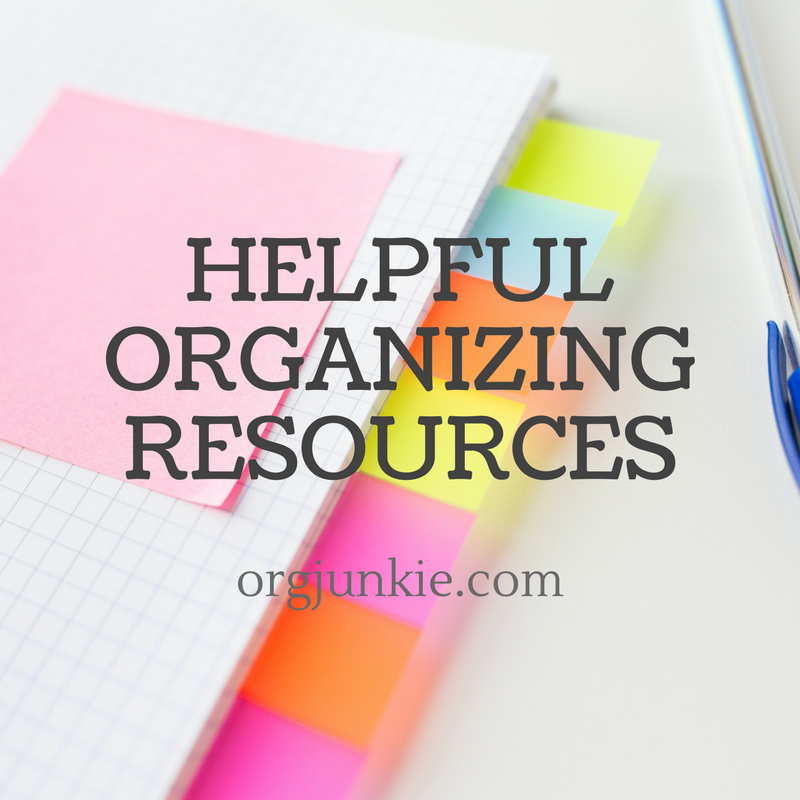 Do you offer organizing resources to help others? If you would like to be featured on the I’m an Organizing Junkie blog you may want to consider advertising here with me. Please send an email to organizingjunkie (at) gmail (dot) com and I’d be happy to discuss my rates with you. Please also check out my advertise page for further information. Thanks so much!! PS: Curious about the products I use to organize my house? Click on the image below.